Please note we’ve now reached capacity for this event so automated bookings are no longer available, however cancellations do occur so please give us a call on 03 9557 5885 and you’ll be the first to know if a place becomes available. Namaste. ‘I feel that this is right for me, I know that this is wrong’. Śruti Anubhāva is the awakening to the wisdom teachings of the heart, whispered to us through direct experience on the sacred path of Sādhana. Through our Sādhana, or daily spiritual practice, we open ourselves to listening for this wisdom and come to discern between the voice of Truth and the voice of the ego. The initial phase of inner listening is known as Śravaṇa, where we must be open and willing to connect with wisdom consciousness, the calling of the Soul and the truth of who we are. This leads us to the stage of thoughtful reflection, Manana, and finally to the quiet contemplation of Nididhyāsana where our refuge into silence holds us in sacred presence. The whispers of wisdom can only be communicated through direct experience, Anubhāva – which simply means, “to know the truth, is to experience the truth”. Deep inner listening takes practice, perseverance, openness, empathy and faith. It requires an inquisitive nature open to the knowing that the Soul carries with it wisdom engraved into the Saṃskāra of time; available to us if we take the time to listen. Ultimately the teachings ask us to Trust ourselves and remember that our heart and Soul already hold all the answers we need. They ask that we take the time out from our busy lives to listen to what matters most and what is true. Essentially, they ask us to come Home. In our Śruti Anubhāva Yoga Intensive, Emma Palmer will guide you on a voyage of inner discovery to experience your own whispers of wisdom that sit in the pockets of stillness. 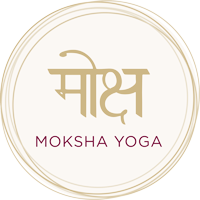 Through an intuitively crafted Vinyāsa Krama of Āsana, Prāṇāyāma, Mudrā, Dhyāna (meditation), Prārthanā (prayer), Mantra (chanting) and an immersive guided Śavāsana of sound healing – all infused with the rich Yogic Philosophy of Śruti Anubhāva – we will consciously move Prāṇa through the forty-nine winds of energy (or Vāyu) and journey deep within to where the echoes of the heart’s teachings reside. Explore into the deeper layers of your practice, experience its transformational gifts and allow the true purpose of Yoga to become realised by immersing yourself in a 3-hour journey devoted to your mind, your body and your spirit – open to all levels of Yoga experience except for absolute beginners. Registration and payment is required to secure your spot – booking early is recommended as places tend to fill quickly. Don’t hesitate to contact us if you need any further information!